*This post is sponsored by NüYU Sili Sponge but all opinions are my own. uses less product as it doesn't absorb any in so it uses less product = saves you money! 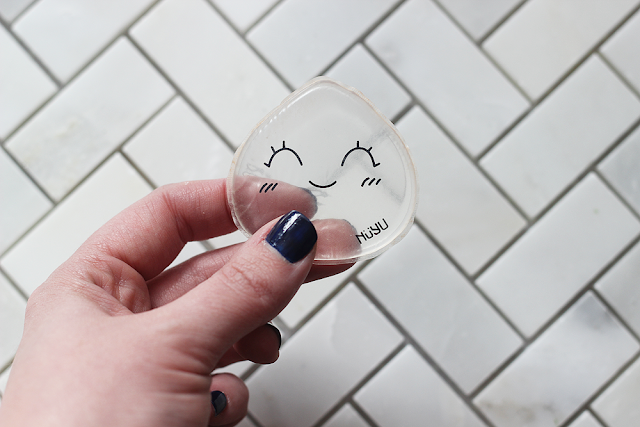 The NüYU Sili Sponge, in particular, is slightly different in that it's in the shape of a tear drop to apply in those hard to reach areas. That's a tall order to fill, don't you think? I'll be the first to admit that I have a love obsession with a certain makeup sponge so I'm anxious to see how this matches up. Let's check it out! 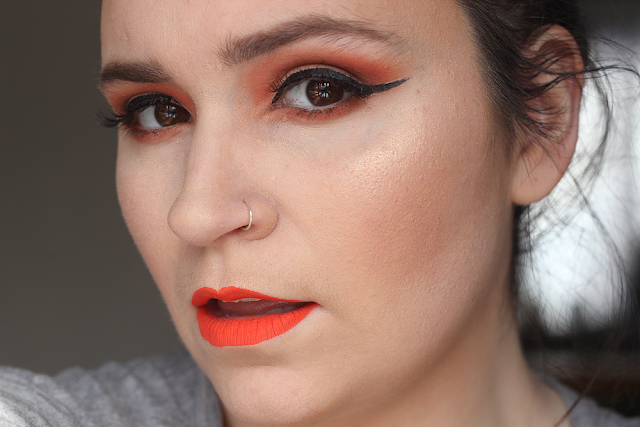 (Let's not talk about how badly this foundation oxidized on me. Sheesh! Looks even worse in pictures.) Anyway, let's talk about how this little baby applies. 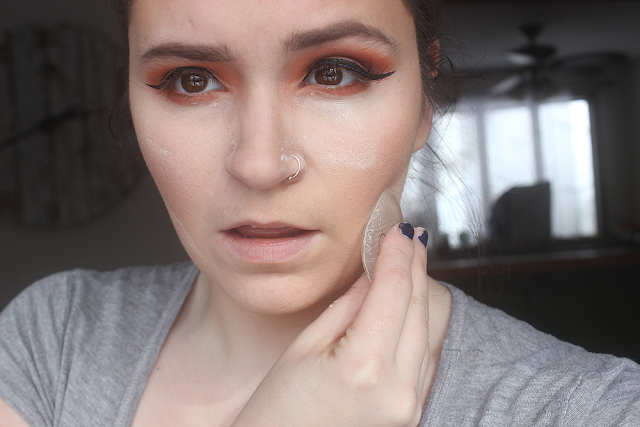 I dabbed my foundation onto the NüYU Sili Sponge first and then applied it to my face. At first, I wasn't sure how this was going to work. Wouldn't it just smudge it everywhere? Lo and behold, after getting the hang of it, it started blending it in super smooth. I thought it'd gather and collect the foundation into small patches, but it didn't! I'm not sure why but I found the more I blended with this, the more seamless it became but can totally admit that in the beginning, it didn't look like it was going to blend well at all. Liquid foundation test: Pass! 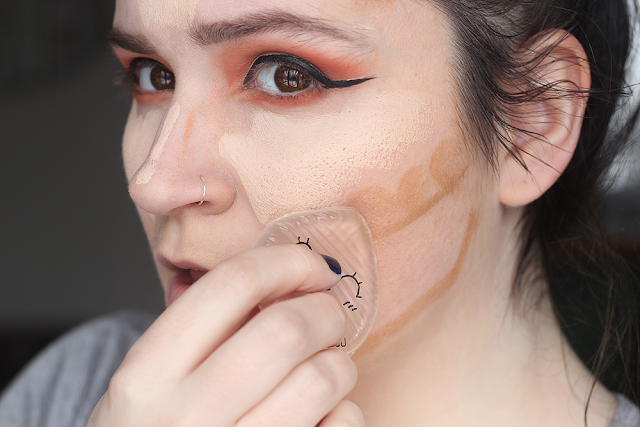 Onto the next step: cream contour. They usually have a slightly thicker consistency than your normal liquid foundation. 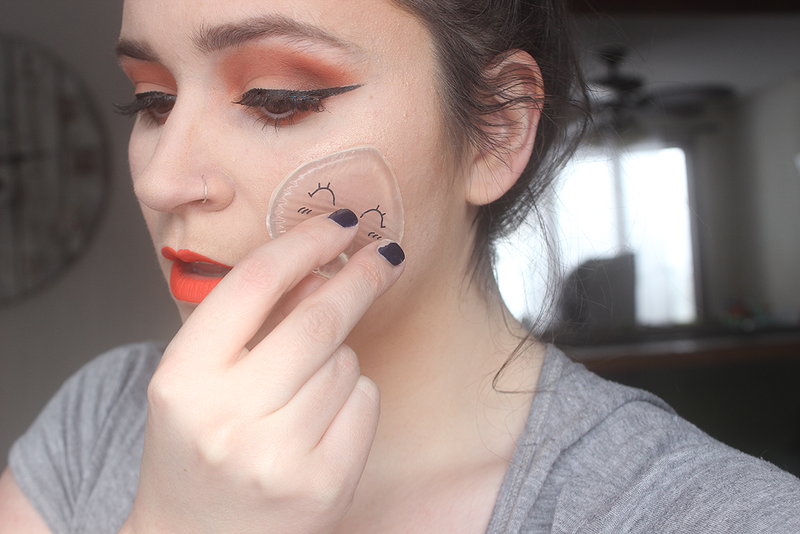 Again, color my surprised as the NüYU Sili Sponge buffed in my cream contour with ease! 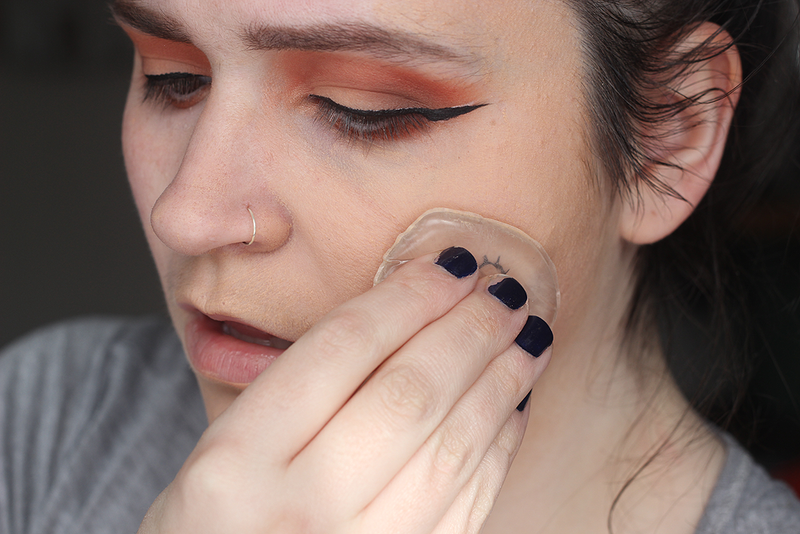 I will note that I did notice towards the end of my blending, where the contour started to "dry" it was slightly more difficult where as a wet makeup sponge might've not had an issue but still. Not too shabby at all! Cream Contour Test: Pass! A nicely applied setting powder is obviously the icing on the cake and can really make or break on the lasting power behind a makeup look. 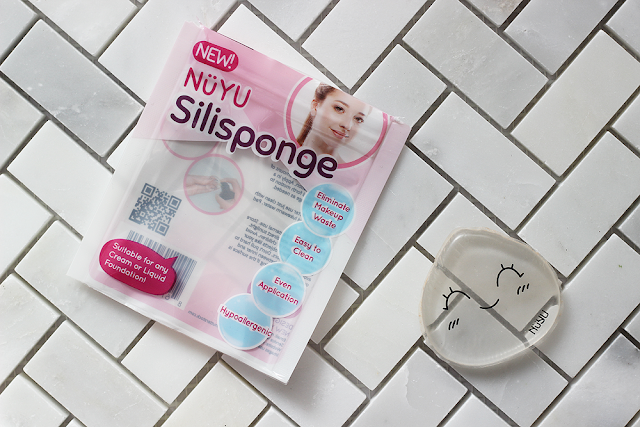 How can the NüYU Sili Sponge hold onto powder, nonetheless apply it? I'm pretty sure this sponge is out to prove me wrong because not only did it hold onto the powder when I dipped it into the container but it applied it smoothly onto all the areas I needed it to be on. What do you guys think? Could the NüYU Sili Sponge replace your makeup sponge?